Talk between the B.C. teachers' union and government negotiators are set to resume this afternoon, after the province's 41,000 public school teachers began their first day of a full-scale strike this morning. Talks between the B.C. teachers' union and government negotiators are set to resume this afternoon, after the province's 41,000 public school teachers began their first day of a full-scale strike this morning. Education Minister Peter Fassbender says the government reached out to B.C. Teachers' Federation (BCTF) on Tuesday, after weekend negotiations failed to reach a deal. "On Sunday, the British Columbia Public School Employers' Association (BCPSEA) tabled a comprehensive proposal to help end the stalemate, get kids back in school and create long-term stability for parents, students and teachers," said Fassbender in statement. "When negotiations adjourned late Sunday night, it was BCPSEA's expectation that talks would continue Monday. BCPSEA reached out to the BCTF and just minutes ago they responded they'd be back to bargaining later this afternoon. Unless a settlement is reached soon, the strike has effectively ended the school year two weeks early for most public school students, although provincial exams are scheduled to go ahead. Last Thursday, the BCTF served the required strike notice of 72 hours, after members voted last week 86 per cent in favour of escalating rotating strike action. Teachers have been without a contract since June 2013, and the full strike is the latest development in a dispute that has seen the union and government divided over issues of wages and classroom conditions. BCTF​ president Jim Iker joined striking teachers on a picket line in Delta on Tuesday morning, where he once again criticized government efforts during weekend contract talks, saying it brought nothing to the table and instead rolled back a prior wage offer. "We came to a zone terms of where the government wanted us to be in salary and we put some creative ideas out there to deal with the idea of class size and class composition and specialist teacher ratios," said Iker on Tuesday morning in Delta. "What we saw was a government that, instead of moving us forward helping us get closer together as we tried to do, they actually took a step backward." Iker has also been scornful of the government's tactics in regard to class size and composition negotiations, saying the government wants either side to be able to terminate the contract based on the outcome of its appeal to the Supreme Court. He said that meaningful improvements to class size and composition "must" be part of any contract agreement. Speaking Monday, B.C. 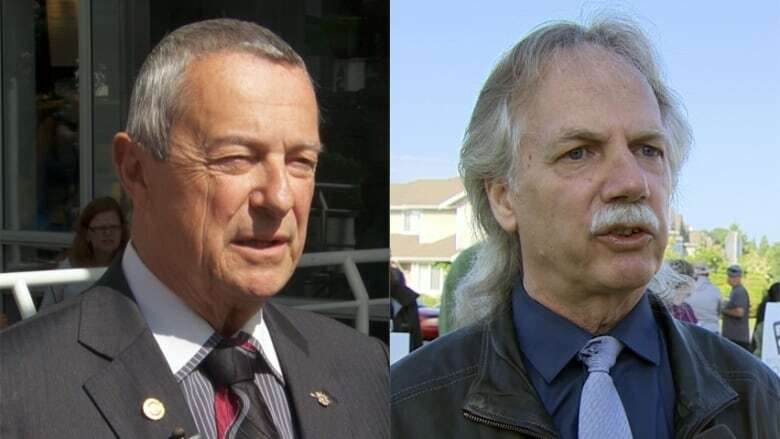 Education Minister Peter Fassbender disagreed with Iker's criticisms, saying that although there was still lots of work to be done, it was a productive weekend of bargaining. Peter Cameron, chief negotiator for the B.C. Public School Employer Association (BCPSEA) also hit back at Iker's criticism, saying that the weekend involved a lot of delays on both sides, "characteristic of hard bargaining." Cameron also said that the wage offer on the table from the employers is fair, but noted that wages "are probably the least complicated" issue they are dealing with. Although there is "still an enormous gulf" between the two sides, Cameron said they are closer than they were last Thursday. Nevertheless, he said, at this point, the strike is on, and the next move is down to the BCTF. The BCPSEA released a backgrounder Monday laying out where they see the current position of the two sides. A big unanswered question is the impact of a full-scale strike on summer school. The Ministry of Education says it wants to see summer school go ahead. But the union hasn't yet said how the strike might affect those plans. 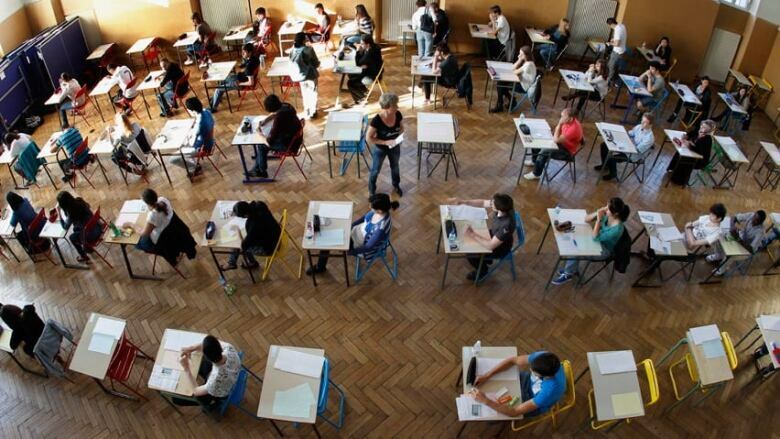 The Labour Relations Board has ruled that supervision of Grade 10-12 provincial exams in B.C. is an essential service. Some districts run summer school programs with teachers, but others contract the work out. Bob Holmes, the president of the Surrey District Parent Advisory Committee, said summer school plans will likely vary district by district. The Labour Relations Board (LRB) has designated provincial exams an essential service, guaranteeing high school students their final grades. Supervision of Grade 10-12 provincial exams. Provision of final grades for Grade 12 students no later than June 20. Carrying out of all tests scheduled to determine if a student should receive a special needs designation. Provision of all information needed to confirm or discontinue the designation for students in the intensive behaviour/serious mental illness category for the 2014-15 school year. School districts must now consult with teachers on the best way to ensure these requirements are met, whilst minimizing the number of staff needed by combining classes or holding exams in larger groups. The LRB has also said it will rule on the issue of the submission of marks for students in Grades 10 and 11 if an application is received​. Teachers' strike: What happens if there's a full walkout?